As Valentine’s Day approaches a feeling of love and romance normally fills the air and it could be that you are planning a romantic surprise for your loved one. The same could be happening in the world according to pests that are living around you! Spiders, fleas, maybe even moths, wasps and other insects are all on the lookout to increase their numbers. Rats, mice and even squirrels are busy wooing their other halves by building warm and secure nesting sites, which could be in your home. 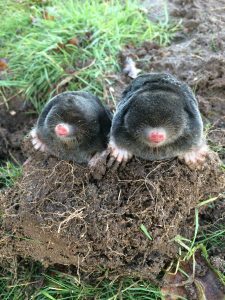 Outside, other animals will be getting in on the act to find love, including moles. One molehill can quickly escalate into many more and a once pristine lawn or flower bed could soon resemble a battle ground! Foxes are looking for new territories and new homes will be constructed where the next generation will be born. 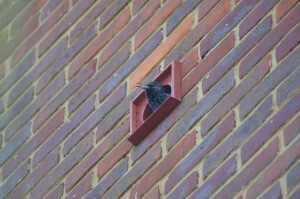 Birds will be busy looking for weak spots in buildings to construct their respective nests. So by spending a little love and attention, on both the inside and outside of your property and garden, any nasty surprises can be quickly dealt with, leaving you time to concentrate on Valentine’s fun.